Use the form below to direct your question to the right department. A real person will get back to you within one business day. Helping you fly in comfort and safety is our top priority. Certainly, there are many factors that can affect your experience while in the air. Not the least of which is the look and feel of your plane’s interior. As part of our commitment to providing you with the best service and maintenance care possible for you and your aircraft, we offer an array of aircraft interior refurbishment services. We have extensive experience with retrofitting, updating and completely redoing aircraft interiors. In addition to this, we also have access to a multitude of aircraft interior products and materials that are guaranteed to help you fly in comfort while ensuring your aircraft’s interior suits your style. If it’s time to redesign or update your plane or jet’s interior, we have all the capabilities to help you make your aircraft everything you envision it to be, while also keeping downtime during updates and refurbishments to a minimum. 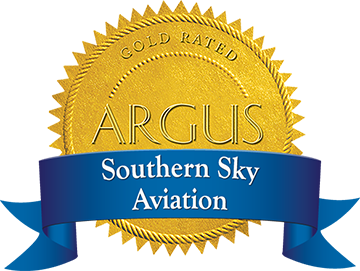 Let us know how Southern Sky Aviation’s team can help make your aviation experience the best it can be, and see where we can take you.